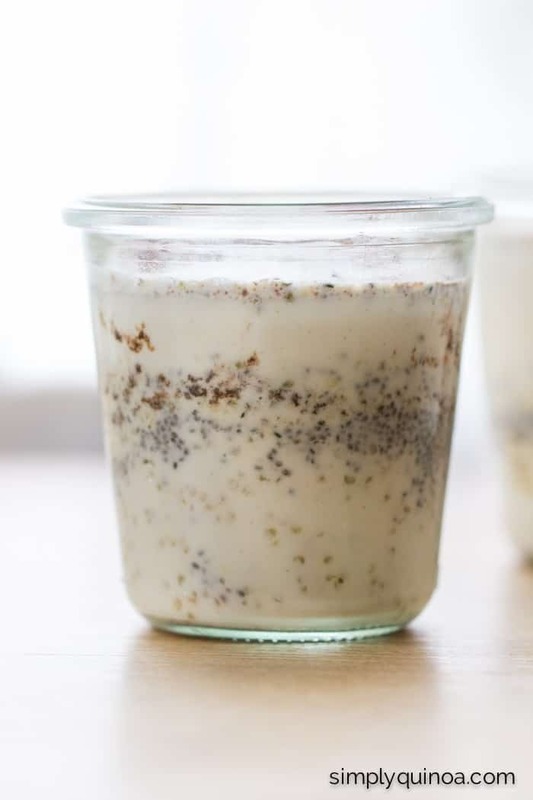 This vanilla chia pudding makes the perfect breakfast – packed with protein (18g) but without the use of protein powder. 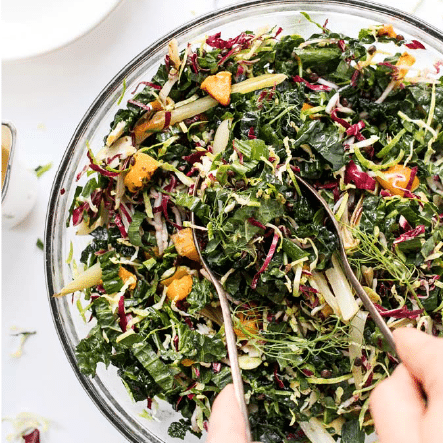 Clean, healthy + delicious! Chia seeds are a miraculous little ingredient. For one, they make great house pets. And second, they make even better pudding. If you haven’t jumped on the chia seed train yet, let me take a moment and try and convince you. Chia seeds are one of the most amazing foods that you can add into your diet. Not only are they packed with fiber, but they’re rich in antioxidants, protein and healthy fats. Plus, I’m tempting you with vanilla pudding so that can’t hurt, right? Chia seeds, and chia pudding for that matter, seem to have taken the health community by storm. They’re everywhere and in EV-ER-Y-THING! 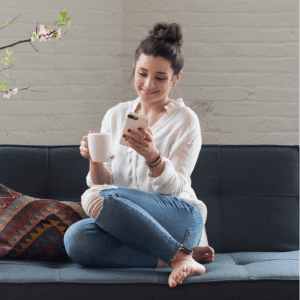 When I hopped on Pinterest and typed in “chia” there were so many recipes it was incredible – and totally awesome at the same time. Hooray for the chia revolution! But I digress. Let’s get back to the heart of today’s post. This super duper, crazy delicious vanilla chia pudding. This isn’t any old chia pudding though. This is the SQ twist on a chia pudding. 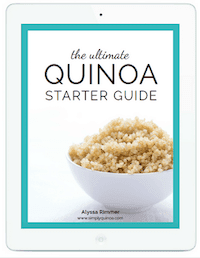 Because rather than just chia, nut milk and some sweetener, I added in…QUINOA. ← ding, ding, DING! As I was thinking about this recipe, I realized that by adding quinoa I was not only getting more protein into the dish, but I was also moving it more from dessert land into the dessert-for-breakfast realm, which yes, I am completely okay with. 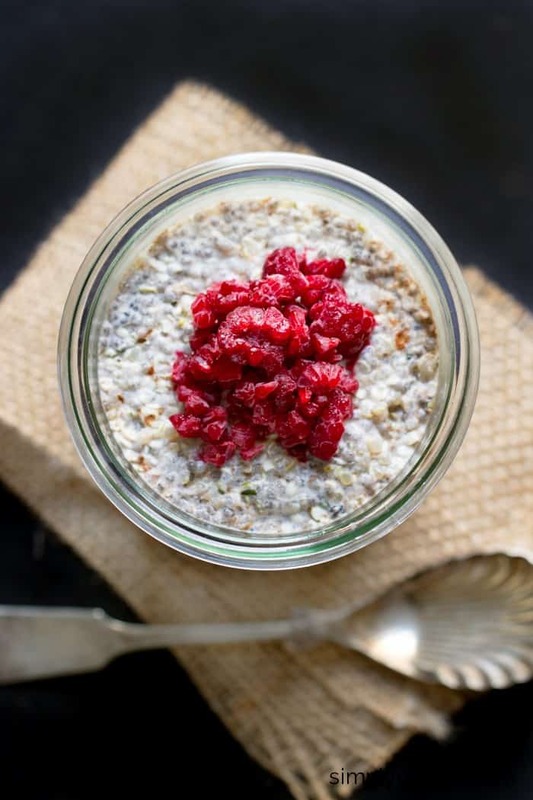 Okay so chia pudding for breakfast…that got the wheels turning again. One of the things that I know many of you struggle with is getting adequate amounts of protein into your breakfasts. Sure, you can opt for plant-based protein powders (and I do from time to time) or make eggs, but those aren't always the best options. That’s why quinoa and chia seeds are both great additions to any healthy breakfast – they really amp up the protein content of your meal. With my initial test I was hovering just around 11 grams. Good, but not great. And then it hit me: HEMP HEARTS! Another one of my latest obsession (aside from chia seeds) has been my discovery of hemp hearts. 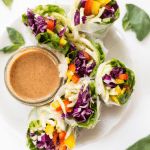 They are amazing – they don’t have much flavor, add a little crunch to things like salads and smoothie bowls AND they are seriously packed with protein. I put them pretty on everything. By adding just two tablespoons of hemp hearts to this pudding, I was able to up the protein content to around 18 grams. Granted, this may fluctuate depending on the type of milk you use, but I was content. And my belly was content too. This pudding is bomb and mega good for you too. We’re talking crazy amounts of fiber, protein AND good for you fats. Yep, it pretty much turned into the most epic breakfast/dessert ever. Chia seeds are one of the most amazing foods that you can add into your diet. Not only are they packed with fiber, but they’re rich in antioxidants, protein and healthy fats. Plus, I’m tempting you with vanilla pudding so that can’t hurt, right? Hello Alyssa. Thank you for sharing this recipe. I am planning to make it today. I have to ask, how did you calculate the carbohydrates for the finished product? I noticed that you listed 13 grams for one serving. The quinoa I purchased from Trader Joe’s is listed as 30 grams of carbs per quarter cup. Made this yesterday and it is still really thin … no pudding! Ideas? Maybe more chia seeds?? Hmmm weird! Mine is never thin. How long did you let it sit? Overnight? Yes, I’d say more chia seeds will help. Do you think this is 2 servings? Could I use quinoa flakes instead if I don’t have the time to cook quinoa grains? Vanilla powder – is that vanilla protein powder? It’s actually ground vanilla bean powder 🙂 You could also use extract I just don’t love the alcohol flavor in non-baked goodies! The Nutrition Facts insert on your recipe shows only 13 grams of protein although you mention 18 grams in your write-up. Why the disparity?? My nutrition plugin must be pulling things a tiny bit different than the one I used to calculate! I never tried this with quinoa, thanks for sharing as this will be on the menu this week. Can you tell me the exact calorie count and nutrional value of this recipe? Can you eat this for a late night snack? Hi there – can you tell me the calories, protein, carbo content for this pudding? How many points WW would this chia pudding amount too? What is the calorie count on this pudding? I don’t have that information, but you can certainly plug in the ingredient list to a recipe calculator and it will come up! You call for 1/4 tsp of vanilla powder? is this protein powder, or what. 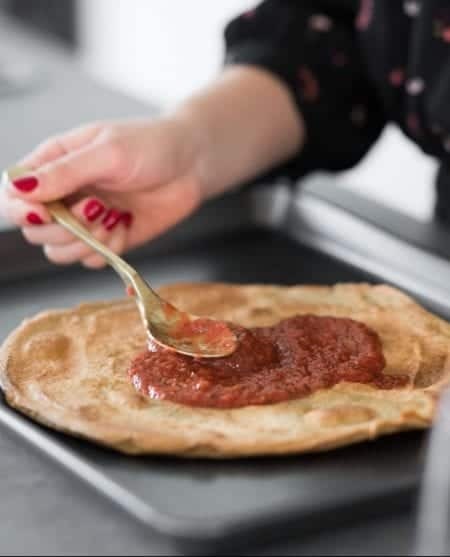 Would like to make this today. Vanilla powder is actually just ground vanilla bean – a spice not a protein powder. You could either leave it out or you could try vanilla extract but it might give it a little of a bitter aftertaste since the extract is uncooked. Thanks for the awesome recipe. Just for reference for anyone who reads this in the future, I always use the extract and have never noticed a bitter aftertaste. It’s the same thing with cookie dough, it’s so disbursed, the bitterness is gone and the vanilliey-goodness is all there, unless you use too much. Were do you get vanilla powder? Whole Foods? Trader Joe’s? Oooh! I’m excited to try this! Does it keep in the fridge for a few days? Could I potentially make a week’s worth of breakfast ahead of time? I am also wondering this. Thinking about making 5 single servings on Sunday to eat Mon-Fri. Do you know if it would stay good in fridge that long? Can it be frozen? I think they would…! I suggest only 2 – 3, but I don’t think they’d go bad in the fridge as long as you have them sealed up nicely. And I haven’t tried freezing, so I’m not sure about that one. One note about the hemp hearts, some people test positive on a UA while eating them. My brother lost a job over it. Why vanilla powder? Protein powder? Could this be made without the hemp hearts? Yep, just swap in some cooked quinoa! What is a good hemp hearts alternative? They are not really avalible in Australia? Great recipe!!! What kind of vanilla powder do you use? 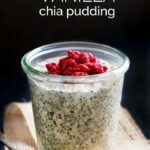 I am all about Chia pudding! The addition of Hemp hearts is excellent! Great recipe! Gorgeous! I’m loving hemp hearts right now! Same! I’ve seriously fallen in love with them. So good! This looks so good! I’ve never actually tried hemp heart but I see them in recipes all the time. Where can you find them at a grocery store? they might be a little tricky to find at a regular grocery store, but if you have access to a place like Whole Foods or another natural grocer, they’re usually found where the chia seeds are. My Whole Foods here in the city has them in bulk! LOL 🙂 And I would probably buy one if they did! Oh my goodness, so much seedy protein and nutrition in this – I love it! 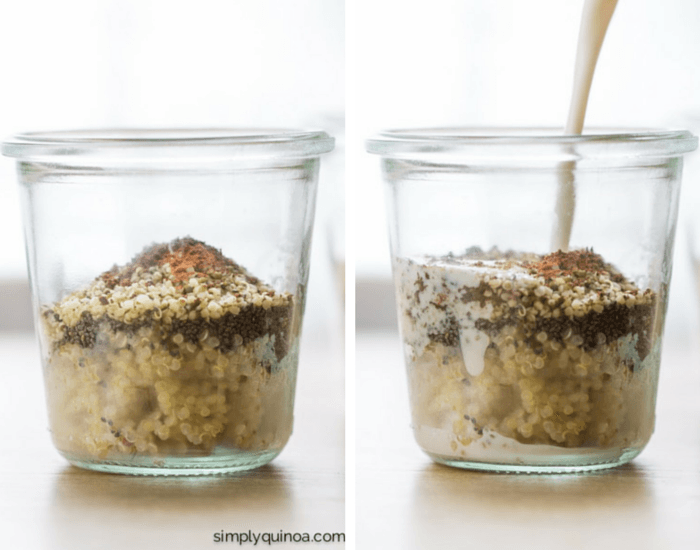 I love my quinoa breakfast puddings, but I have never tried the cold method – will be trying this next time! I’m all for recipes that fall into that dessert for breakfast theme! Amen sista! It’s the best, isn’t it!? 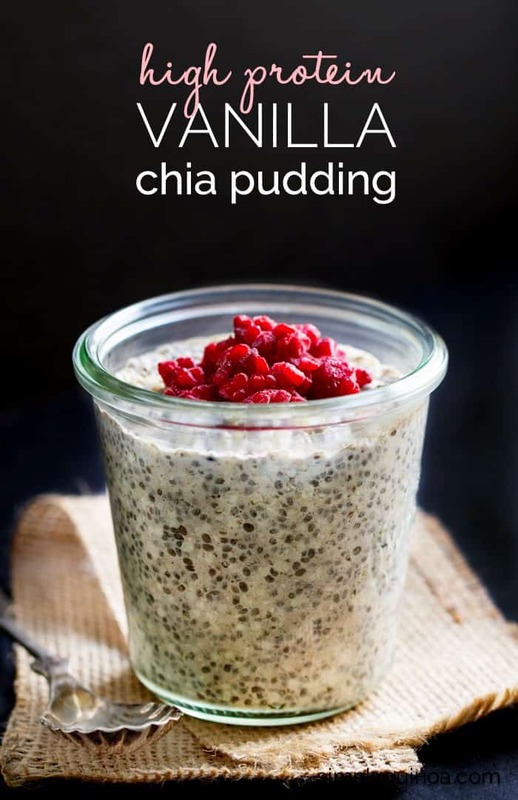 Second chia pudding I’ve seen this morning…..I still need to make it and I think this might be the one! I like that it’s much more “filling” than just chia seeds! You HAVE to! It’s so easy, so filling and SO tasty! I actually just had some of this for lunch/dessert – yumm-o!